Moving homes or offices can be a stressful time for the most experienced of people. Why not take the stress out of moving by hiring professionals who do it best? 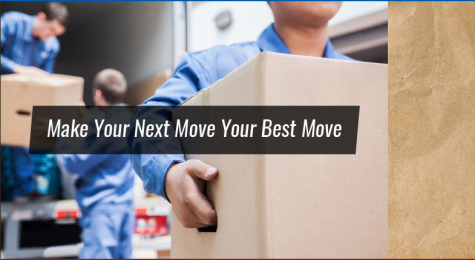 Wiebe’s Moving & Storage is a Winnipeg-based moving company with a talented team of individuals who possess the know-how and expertise to do the job exactly right. No matter where you want to move in Canada, you can entrust a reliable moving company like us for the best experience possible. Take a brief look at all the services we have to offer! We specialise in local moves within the city limits of Winnipeg, Manitoba. Whether it’s residential moving, condos, or apartments we offer our moving services for all the items you require. We are also available for on-site office or business shifting. Our insurance covers all furniture and appliance moves. We are experienced in handling rural moves anywhere within the Manitoba province. Do you want to move to a different area of Manitoba? Or are you relocating from outside the city to Winnipeg? Our professional services are designed to help you out and are just a call away! Winnipeg clients can enjoy Wiebe’s fully equipped packing services for a smooth experience. It doesn’t matter if you’re moving cross-country, to a different area in Manitoba or simply shifting to a new place within the city. Our professional movers box up your belongings efficiently so as to save you the time and effort. We also provide packing supplies including tape and cardboard boxes for moving. Wiebe’s Moving & Storage services extend to local Winnipeg move storage. At highly affordable rates you can hire our moving crew. From itemising inventory to assigning numbers to each storage item, our crew members will do it all. We also provide special storage quilts to protect all your precious furniture and delicate possessions. Once you reach your new abode, we move all your goods to you. We guarantee that with our professional local moving services in Winnipeg, you’ll have a calm and easy moving experience. Call at 204-944-0085 to schedule our services today!